Texwipe offers EPA-registered disinfectants, effective against a broad array of pathogens including MRSA and TB. 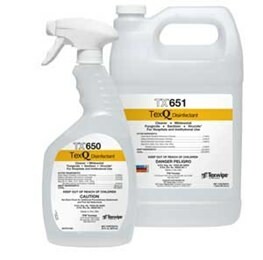 TexQ™ Disinfectant is an EPA-registered quaternary ammonium compound (quat) which serves as a one-step cleaner/disinfectant (effective against a broad spectrum of bacteria, virus and fungi, and inhibits the growth of mold and mildew and their odors) when used as directed. Both formulations have 25% more kill claims than any other cleanroom quat. 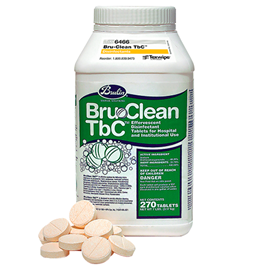 A premeasured tablet added to one gallon of water to create a disinfectant cleaner for hard surfaces. Effective against a broad array of pathogens including MRSA and TB.